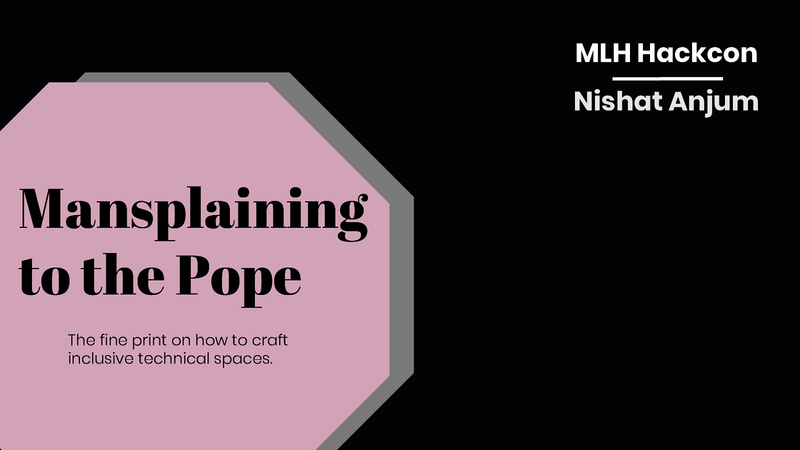 MLH Hackcon Nishat Anjum Mansplaining to the Pope The fine print on how to craft inclusive technical spaces. View Mansplaining to the Pope on Notist. The fine print on how to craft technical spaces that are inclusive of all learning levels without being condescending as well as understanding the greater societal impacts on how this lack of respect is perceived. Nishat puts presentations on for free. You can too.